Camo yoga pants in mesh, Mens mesh pants by Younger. Only the tough lounge in sheer. Features an army green camouflage print on thin chiffon material. Constructed with a black drawstring tie to tighten the waist. Sheer army pants designed with shorts attached to waistband. Includes hidden zipper fly, side pockets, and single rear pocket. 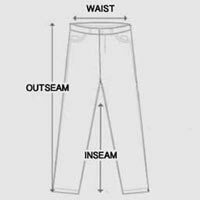 Pant length is slightly cropped for a trendy cut at the ankle. Ultra-comfortable fit with a relaxed, wide leg. Stay cool for the summer in these sheer army pants. Attached shorts are not removable. Model is wearing size M. For accurate measurements, check the table below. Waist is measured untightened with rope. We offer a 21-day return and exchange policy, within 21 days from the shipped date. Merchandise must be in sellable condition (unworn and unwashed) with original packaging tags and receipt. Exchanges available on domestic orders only. The following items are not eligible for returns and exchanges: makeup, grooming products, swimwear, underwear/undergarments, merchandise in clearance/sample clothing, and final sale items. Please review product details, specifications and measurements before placing your order. Visit Returns for more information regarding our U.S. and International return and exchange policies. 2014-2019 DIFFERIO Mens Clothing Online Store. All Rights Reserved.